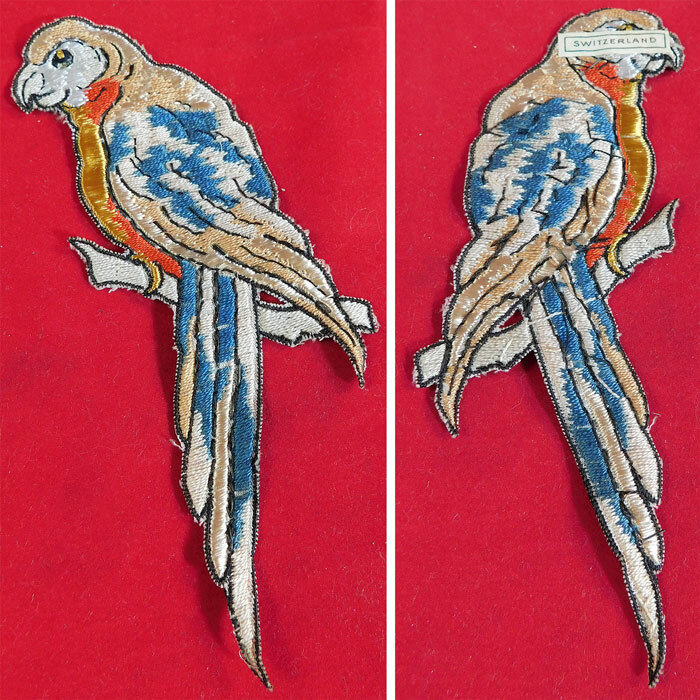 This unused vintage Swiss colorful silk embroidered parrot bird patch applique trim dates from the 1930s. It is made of colorful silk thread woven embroidery work outlined in black thread stitching. 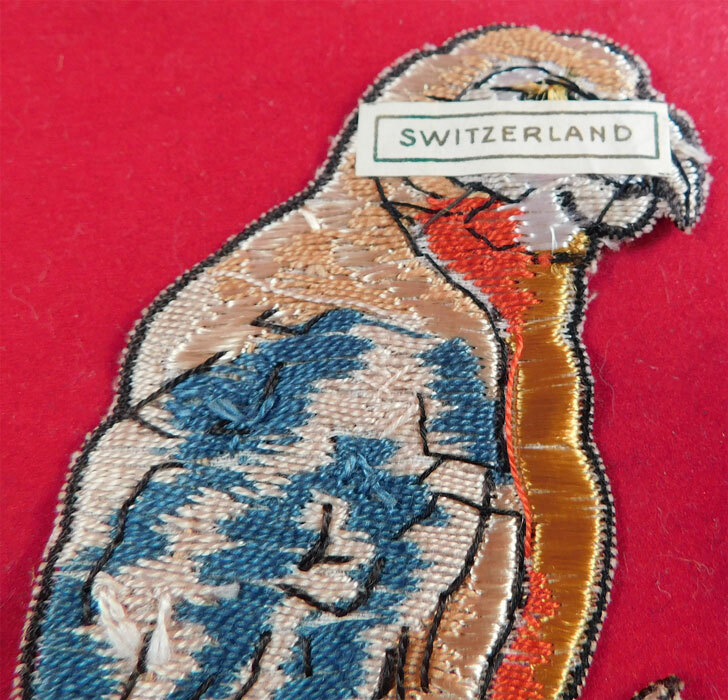 This pretty parrot bird perched on a branch patch applique would have been used as millinery or dress trim, it is unlined, not backed and has a made in "Switzerland" paper label on the back. The patch measures 6 inches long and 2 inches wide. It is in excellent unused condition. 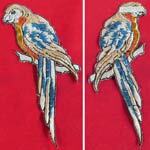 This is truly a wonderful piece of bird lovers wearable art!